Congratulations Bruins! 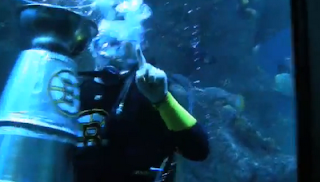 Watch a scuba diver with the Stanley Cup! The Bruins have brought the Stanley Cup back to Boston! 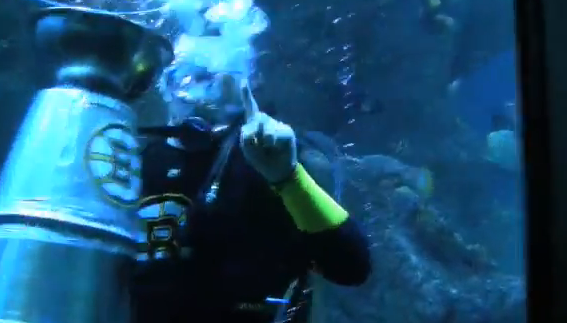 Dive intern Wally celebrated the championship scuba style by creating his own Stanley Cup for the Giant Ocean Tank. The submerged trophy will be surrounded by fishes all day, so come see it for yourself. Later this afternoon we'll put some food in it for the angelfish to eat out of! This isn't the only way the Aquarium is celebrating. Tomorrow morning visitors who wear black and gold will get two tickets for the price of one! This post is written by New England Aquarium dive intern Emma. A visitor recently uploaded a video of Emma interacting with a little boy named Joey through the glass at the Aquarium's Giant Ocean Tank (video below). Hello! 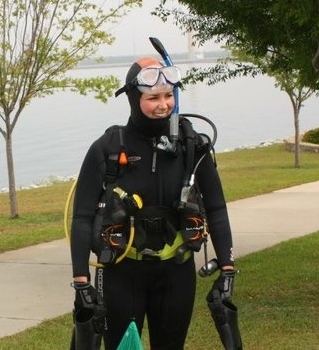 My name is Emma Kelley and I’m a Giant Ocean Tank Intern at the New England Aquarium. This internship is by far one of the best experiences of my life. 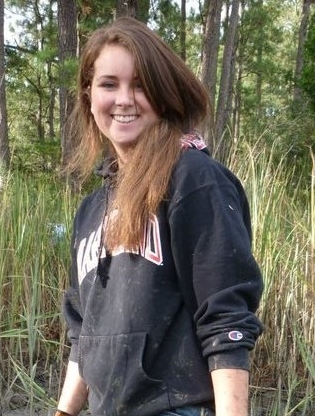 Where else can a marine science student gain such valuable job experience while swimming with sea turtles? I currently attend the University of South Carolina and am majoring in marine science. Having grown up close to Boston, I took many trips to the New England Aquarium as a child, watching the turtles, sharks, and, of course, the divers. These trips convinced me that a career in marine science was the path for me. Actually diving with these animals and contributing to the maintenance of their tank is a dream come true. As a dive intern, I help prepare all the G.O.T. food in the morning and spend the rest of the day keeping the kitchen and dive office clean, as well as diving to clean the tank and feed the animals. SCUBA diving is definitely my favorite part of this experience. I’m becoming a better diver, while taking care of the coolest animals on the planet. Interacting with aquarium visitors from both inside and outside the tank is also one of the best parts of this position. We have the opportunity to involve and inspire children, like Joey, in the ocean world and bring a smile to their face.